Last week I made my first entry into the weekly challenge brought to us by Rochelle Wisoff-Fields – I enjoyed taking part so much, I thought I’d do it again. I loved reading others’ offerings! Here are the rules: Use the photo as inspiration, write a hundred(ish) words – and share! Here goes this week’s – and I welcome your comments again! I stood, staring into the distance, feeling the rage build up inside. I kicked the flat tyre and arrows of pain shot from my big toe, burying themselves deeply in my knee. This town mouse had forgotten that mobile phones were completely useless in the depths of mid-Wales. I rubbed the tears of frustration out of my eyes and blinked. A telephone box appeared out of thin air – a little bit of Celtic magic to save this modern-day damsel in distress. 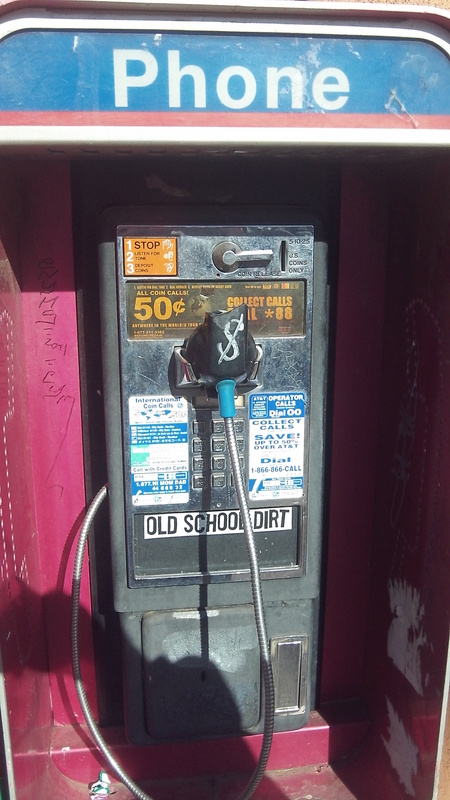 Plus, there was even ten pence in the slot, ready to make a call. Great and nice use of your surroundings. I hope this has not really happened to you but a touch of magic is always good news! By the way I have contributed too! Thankfully no, it hasn’t happened! But the thought crossed my mind that it could! I’m going to read yours shortly – can’t wait! Thank you, Penny. Well, I’ve been visiting Wales on and off since I was a child – it certainly has a magical feel about it, especially in the countryside. Love this title and that pre-paid phone. Celtic magic really is special. I was thinking the same thing. Never had that happened when we visited Wales but we did have some great food. What I could have really used was a magic pronunciation guide that would have implanted itself in my mouth!! You made me feel her frustration. I think I even felt a slight twinge in my big toe. Nice one. I feel the emotion within the lines…well done! Bravo! Great little tale, very well told.